Telefónica Spain plans to deploy optical metro networking equipment from Nokia as part of its ‘Fusión Red’ project to handle massive growth in network traffic from new video services. Under the contract, Nokia will provide metro gear from its enhanced optical transport portfolio based on its new programmable silicon chipset, the Photonic Service Engine version 2 (see Nokia claims capacity leap from new silicon and systems). 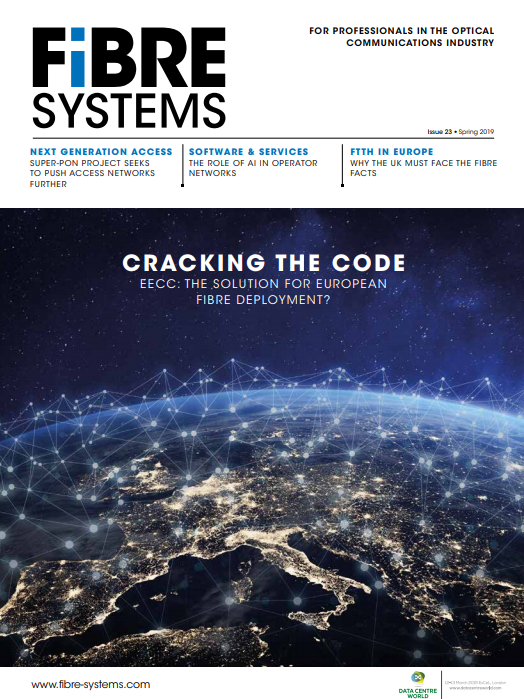 Fusión Red is a three-year project, initiated in 2015, to transform Telefónica Spain’s network into an end-to-end converged packet-optical network, using IP and MPLS technologies. The project was prompted by the explosive growth in video traffic on Telefónica Spain’s networks arising from the popularity of its Fusión quadruple-play offer and, in particular, its Movistar TV service, which has expanded to include Canal+ services and 'catch-up' TV. To date, Fusión has attracted more than four million pay TV subscribers, and has huge potential for further growth. Telefónica Spain’s fibre-to-the-home network now has more than 15 million lines, the widest coverage in Europe. Initially, Telefónica Spain will roll out the new metro network in areas of high population density including Barcelona and Catalonia, with the aim to cover half of the country in due course. Nokia will provide multiple elements of its recently enhanced optical portfolio, including its scalable packet-OTN switch, the Nokia 1830 PSS-24x, which provides up to 48 terabits of capacity per rack. Also deployed will be Nokia’s 1830 PSS 500G DWDM muxponder, offering up to 500G of flexible bandwidth for delivery of 100G services and Nokia's contentionless-directionless-colourless, flexible-grid (CDC-F) wavelength routing product, to create programmability at the optical layer. Nokia had previously announced that it would supply routing equipment, including its 7950 XRS core router, to Telefonica for the same project.